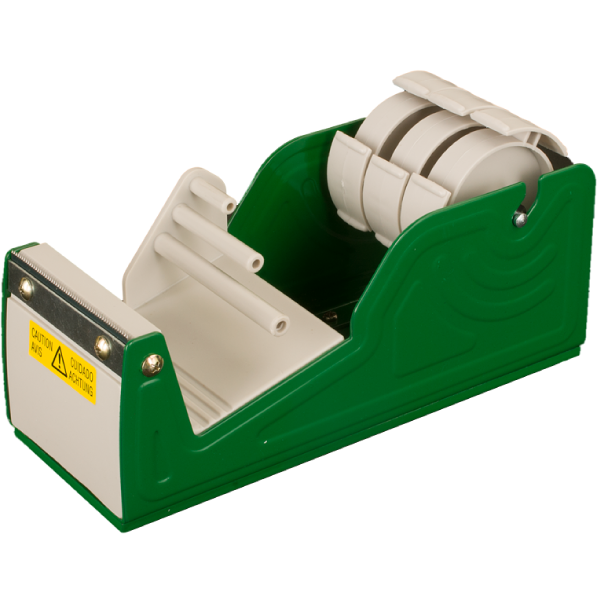 3 Inch Wide Multi-Roll Desk Dispenser. Can use 1 roll of tape up to 3 inch wide, 3 rolls of tape 1 inch wide each, or a combination of rolls that do not exceed 3 inch in total width. 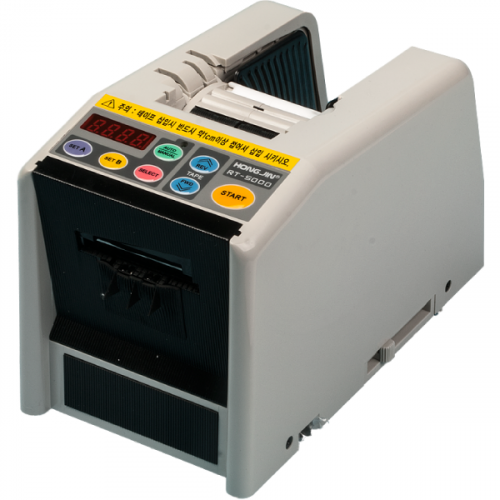 Perfect for use in shipping rooms, graphic artists and printing companies, office, retail, food service, assembly, institutional, industrial and a multitude of other applications. 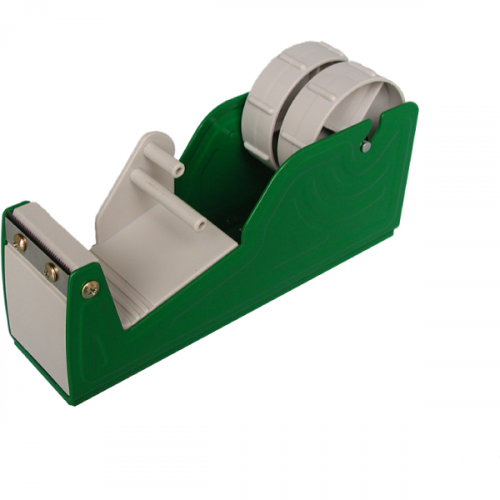 3 inch wide multi-roll dispenser with split mandrel can handle 1 roll of tape up to 3 inch wide, 3 rolls of tape up to 1 inch wide each, or a combination of other sizes that do not exceed 3 inch total width. Separators for easy tape removal and heavy duty construction of steel and hi-impact plastic makes this weighted base dispenser perfect for many applications including office, shipping room, assembly, retail, institutional, and industrial.